Jonah is 15 years old and has been juggling for 5 years. He works mostly on club juggling, although he also practices balls and rings. Jonah plays the cello (not the music in this video) and ultimate frisbee when he is not juggling. 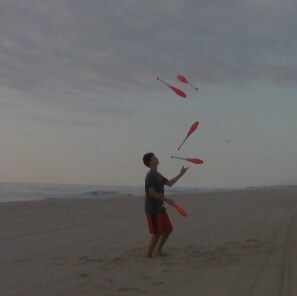 This video includes beach juggling and technical juggling in a gym. Enjoy!